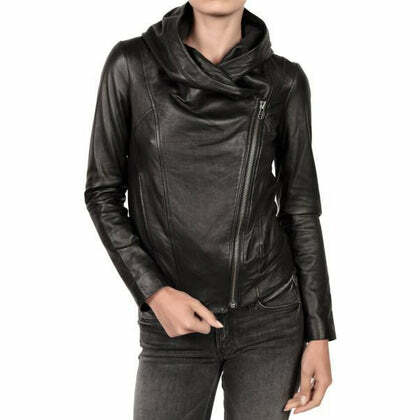 Leather jackets are vital accessories for every woman’s wardrobe. 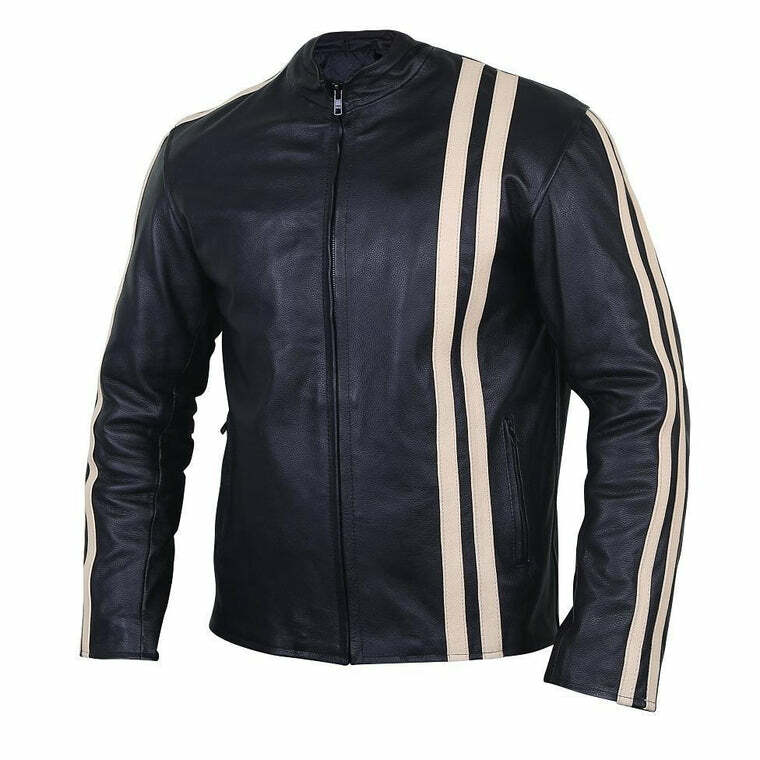 No matter where you are going, you can carry one with you, bringing style and confidence to dazzle your way through the streets. This Black Brando Hooded Jacket is made from genuine leather. 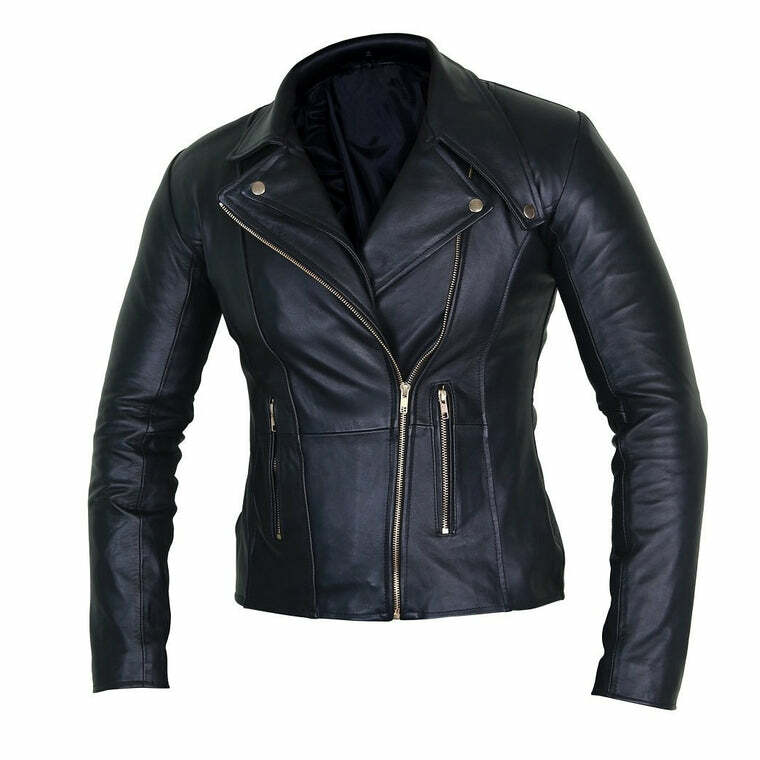 It's manufactured from high-quality sheep leather and graciously designed to make you look like a Black Beauty. 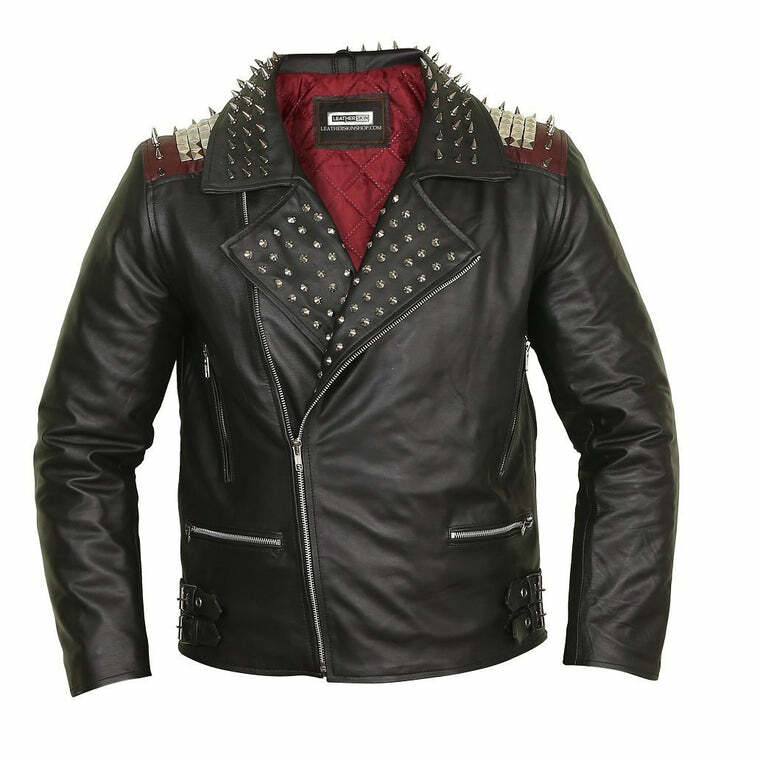 The jacket is designed and created with high attention to detail. 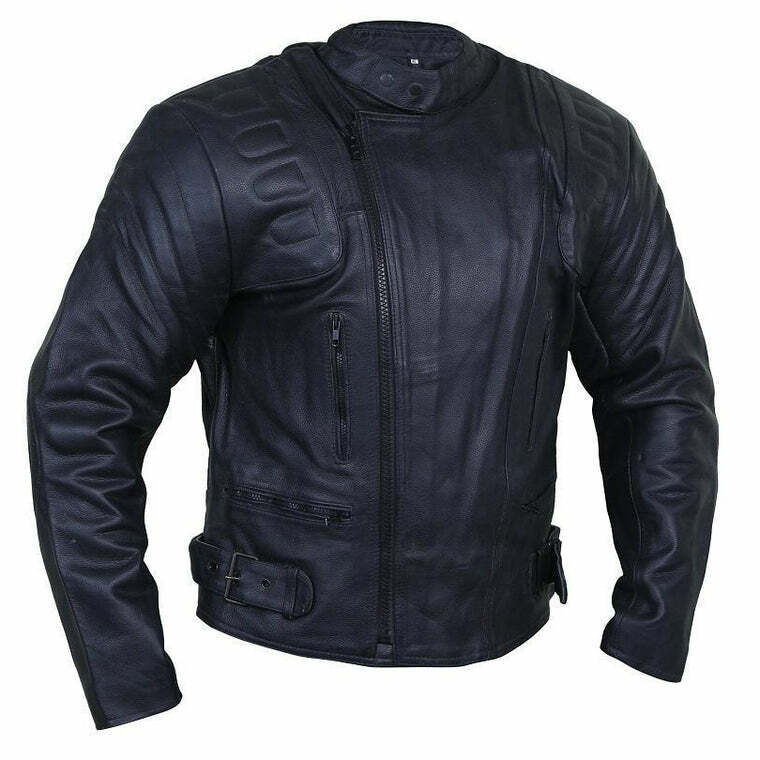 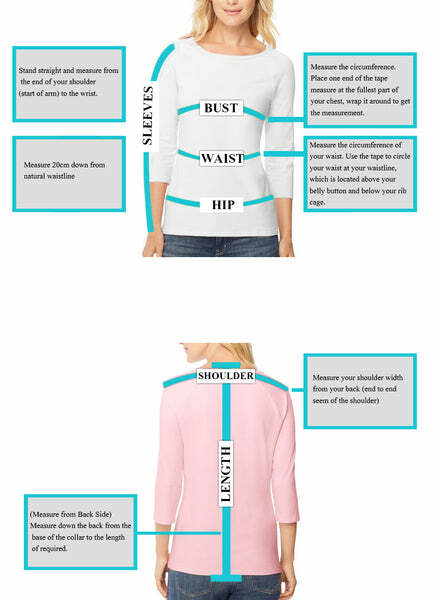 Every part is perfect, from the color to the stitching, making it stretchable and lightweight. 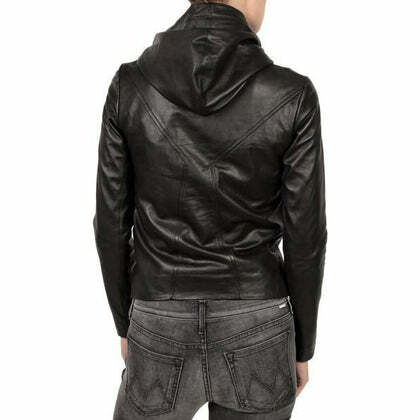 The slim fit and slant front zipper added finesse to a basic, simple jacket.